Florida NTO Delivery Problems – What if the mail delivery isn’t successful? Do you have to mail your Florida NTO with your fingers crossed? The 45-day time limit for delivering your Florida Notice to Owner (Florida NTO) is an issue that we talk and write about A LOT – our frequent blog posts (read about it here and here) and our website (go to that page here) cover the subject in detail. Florida NTOs must be delivered to the required parties within 45 calendar days from your first day on the job (weekends and holidays are included, unless the 45th day lands on a Sunday or holiday, where they give you until the next business day for delivery). Typically, Florida NTOs are sent via USPS Certified Return Receipt Mail to the property owner and any other parties that need to be informed of your work on the project. 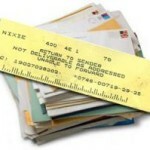 USPS Certified Return Receipt mail requires the recipient to sign for the mail when the postal worker delivers it. However, what happens if your NTO arrives at its destination within 45 days of your first day of the job as required, but the party that you mailed it to isn’t available to sign for the mailing? What happens if the delivery address is to a PO box and the mail doesn’t get picked up for over a week, pushing you past your delivery deadline? What happens if the party you send it to is no longer at that address? What happens if the party you send it to never picks up the mailing at all, so the mail gets returned to you? What happens if it gets lost in the mail? We will cover all of these Florida NTO delivery problems in our new blog series – stay tuned! Each week this month, we will write about a scenario in which you send your notice but the delivery does not go smoothly, and we will explain how your lien rights are affected. Have a question that needs to be answered right away? Call us at (407)399-8997 – we are always happy to help and explain how you can avoid Florida NTO delivery problems! The Notice Zone, Inc. can assist in Orlando NTO services more conveniently and easily. With the advice provided by a formal NTO contractors are able to receive payments in a timely manner. A number of benefits are provided to individuals looking to hire a professional and to protect personal interest and lien rights. A professional will be able to advise on the documents that will need to be completed for individuals in the construction industry that will meet with the necessary statute guidelines. It is of the utmost importance that one seek procedure that will protect personal interests and rights. For successful business operations, it is important for property owners to protect investments and to ensure that the necessary legalities are followed. A Notice to Owner or NTO is the written statute that is implemented in the state of Florida to assist owners as well as subcontractors in terms of the necessary payments for the sender or subcontractor before contractors are paid. The law requires that these notices be served within 45 days from the first day of work or as soon as materials are delivered to the site. Such methods can aid in greater levels of protection. These notices will provide owners of properties with the necessary backing to ensure that specific subcontractors are paid and any liens wavered. The owner will be protected from having a lien placed against the home or business or having to pay someone they have not entered into a contract with. Any form of verbal agreement will not be sufficient for changes in notices and should be included in writing. It is important for workers to issue notices to owners for all jobs in order to ensure sound business practice. Hiring a professional service can assist in following the necessary procedures and in the handling of all formal documentation and payments. Such measures will need to be handled by experienced and knowledgeable personnel in industry. The subcontractor or the supplier has the right to issue a notice to property owners. These measures will need to be implemented and followed within a timely manner even if there are no complications that can arise to claim a lien if required at a later stage. If individuals to not adhere to such guidelines, one will not have the means to claim for a lien. 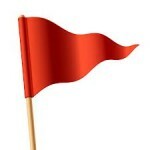 It is necessary to follow very specific guidelines when looking to serve property owners with notices. Professional assistance can aid in greater levels of efficiency and convenience as this will guarantee that the necessary formal processes are followed. Individuals have a number of options that are available when issuing such notices including delivery, certified mail, and posting such documents on site. With an NTO, contractors and property owners are better protected when it comes to timely payments, improved communication, and protection of investments. There are many individuals who are able to issue a lien including subcontractors, suppliers, and professional lienors. With the Orlando NTO services provided by the Notice Zone Inc, individuals are better protected and able to achieve a greater sense of security. 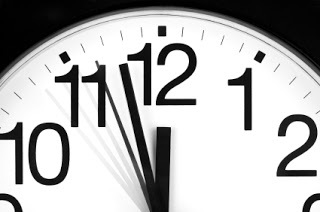 Notice to Owner time limit – we can help! The time limit for serving a Notice to Owner is 45 days from your FIRST day on the job. This time limit is the number one stumbling block for subcontractors – they wait too long to send their NTO, and they lose their right to lien. The Notice Zone can help with that strict time limit. Notices to Owner are sent using USPS Certified Return Receipt mail, which means that the postal carrier will not deliver it unless there is someone available to sign for it. If no one is available, the postal carrier will leave a notice to let the recipient know that they have a mailing waiting for them. This type of situation can seriously delay delivery of your notice! But did you know that the Florida statute provides protection from your notice languishing in the post office, waiting to be picked up, while your time limit for serving your notice winds down? The statute states that if the Notice to Owner is sent using Certified Mail and the person (or company) who sends it uses a Certified Mail Log, the Notice to Owner is considered DELIVERED UPON MAILING, as long as it is mailed WITHIN 40 DAYS of your first day on the job. At The Notice Zone, we only mail using Certified Mail Logs that are date stamped and signed by the postal worker accepting our mailings. You have the extra peace of mind that your lien rights will be preserved no matter when the mailing actually gets delivered! Even if the mailing doesn’t reach its destination due to lost mail or refusal of delivery by your recipient, THE NOTICE TO OWNER IS CONSIDERED DELIVERED THE DAY WE MAIL IT, so your Notice to Owner time limit requirement is easier to fulfill. Make sure you get your Notice to Owner request to us within 35 days of the job start so you can be sure that your mailing can take advantage of the provisions in the statute. Fill out our online NTO Request form by clicking here, or print our form to fax or email to us by clicking here. Questions? Call us at 407-399-8997. Protect your lien rights so you can get paid! Subcontractors often look to hire a Florida NTO (Notice to Owner) service in order to save time, to be assured that their notices are written and served correctly, and to protect their lien rights. It is so important, especially now in the construction industry, that subcontractors mind the strict time limits set forth in the Florida statutes to protect their lien rights. Serving timely notices (NTOs) is the only way to secure your lien rights so you can get paid for materials supplied and/or work performed. The Florida Notice to Owner document makes it clear to the property owner that they are required to pay for the materials supplied and or services performed. The language of the Florida NTO warns the property owner that they are responsible for making sure that the subcontractor sending the NTO is paid. As required by Florida law, the Florida NTO informs the owner that even if they pay the general contractor in full, if the general contractor does not pay the subcontractor, the owner may have to pay the subcontractor or risk having their property liened. In essence, the property owner would have to pay for work performed or materials supplied twice in the event that the subcontractor that sent the NTO does not get paid. This is a very strong stimulus for the owner to be sure that the subcontractors are getting paid, and is very effective in preventing the general contractor from withholding payments to subs. The Notice Zone receives calls almost daily from subcontractors who have waited too long to get paid – they are past the 45 day time limit to serve their NTO upon the property owner. DON’T WAIT UNTIL YOU HAVEN’T BEEN PAID ON A PROJECT TO SERVE AN NTO!!! An NTO is not a collection notice – it is a form required by Florida law when you work as a subcontractor. Do not worry about offending a general contractor by sending an NTO. It is a standard part of the industry and any reputable general contractor is not put off by their subs following the construction laws. Send an NTO on every project you begin in Florida, right when you begin, and you can have peace of mind that if you don’t get paid, you can lien the property you worked upon (or make a claim on the bond for bonded projects). Call us today at (407)399-8997 to learn more. Can You Place a Lien on Public Property? You can’t lien public property. Period. So what do you do when you are hired to work on an airport, park, school, courthouse or other type of public property? How do you protect your right to be paid for the work you do? Instead of sending a Notice to Owner (NTO), you send a Notice to Contractor. The Notice to Contractor tells the General Contractor on the project that in the event that you are not paid, you will look to the Bond to be paid. (A bond is similar to an insurance policy for a specific project. Florida Statutes Section 255.05(1)(a) states that a contractor on a pubic project must record a payment bond in the public records of the county where the project is located PRIOR to commencing work. This requirement is for state projects of $100,000.00 or more, or county, city or public authority projects of $200,000.00 or more.) The time frame for sending a Notice to Contractor is 45 days from your FIRST day of work, the same as the time limit for sending a Notice to Owner (NTO). 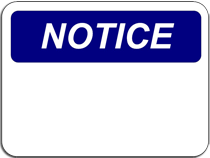 Learn more about The Notice Zone’s Notice to Contractor service by clicking here. Have questions? Fee free to call us at (407)399-8997. What do you do if you send your Notice to Contractor and you don’t get paid on a job? Check our next blog for the answer, or click here to learn about the Notice of Nonpayment process. Serving an Intent to Lien: Can it help you get paid? Construction laws vary from state to state; some states require that before you lien a property, you serve the owner of the property an “Intention to Lien” form to warn them. Florida DOES NOT require you to serve such notice; if you worked directly for the owner of the property that you worked on (or if you worked as a subcontractor or material supplier and sent your Notice to Owner within 45 days of your first day on the job), you are able to file a lien on a property for the moneys owed to you without warning the owner. However, you can serve an Intent to Lien warning upon the owner in the hope that just learning that you are ready to file a lien will prompt payment, without the hassle and expense of actually filing the lien. 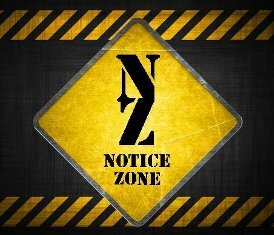 The Notice Zone can write and serve your Intention to Lien form in the event you do not get paid on a project. Remember, you have ninety days from your last day on the job (real work, not punch out work) to file a lien. We send the Intent to Lien forms via USPS Certified Return Receipt mail, so the property owner has to sign for the mailing and you know exactly when they received it. Just like our Notices to Owner, we research the property and project and we include all pertinent information on the Intent to Lien, such as property description, Notice of Commencement filing information, total money owed to you (we include a copy of your invoice) and more to demonstrate that you are ready to file the lien if needed. Don’t wait until you are a week away from losing your lien rights! It is only $30.00 for us to research, write and serve the Intent to Lien, plus a $5.49 USPS Certified Return Receipt charge, for a total of $35.49. Our clients have had good success in getting paid when this form is served in a timely manner. Call us today at (407)399-8997 if you are interested in trying our service! What is a Notice to Owner and How Can it Benefit My Business? What is a Notice to Owner (NTO) and can I use it to lien a property? Have you ever completed work on a construction project only to not be paid by the person/company who hired you? Have you gotten paid but had to jump through hoops to do so? Since you cannot “take back” or “repossess” time, labor and most materials involved in a construction project, Florida construction laws offer you recourse should you not get paid. The law allows for you to lien the property that you worked upon as a way for you to recover monies that may be owed to you. However, we both know that you don’t want a lien on a property – you want a check in your hand. Often just informing the property owner of your lien rights is enough to get reluctant owners/contractors/subcontractors to pay you. If you are hired by a commercial or private property owner, you have the right to file a lien if you do not get paid for your time, labor and materials. If you are hired by a party other than the owner, say a renter, or a general contractor that was hired by the property owner, you do not have the right to file a lien UNLESS you do one very important thing: inform the true property owner that you are working on their property. You do so by sending, via certified mail, a Notice to Owner to the property owner. You have to send it within 45 days of your FIRST day on the project. The Notice to Owner has to follow the format and wording prescribed in the Florida statutes, and you must have proof of delivery and receipt. The Notice to Owner basically informs the owner that you have been hired to work on their property, and it informs them that in the event that you do not get paid, you have the right to lien the property. It lets them know that even if they pay the general contractor or subcontractor that hired you, if YOU do not get paid, you can put a lien on their property. If you don’t send a Notice to Owner, or you do send one but it is not in compliance with the information required by the statute, or you do not send it in the time frame specified by the statute, you forfeit your lien rights and have no lien rights in the event that you do not get paid. In a case where you are working directly for the property owner and you do not get paid, you are able to file a lien against the property without having to serve a Notice to Owner. You must do so within 90 days of the LAST day that you worked or supplied materials to the job. If you are in a situation where you are not being paid, it is often beneficial to send the owner, via certified mail, a letter of your Intent to Lien. This, in my experience, helps to motivate the owner to pay you before beginning the lien filing process. Florida’s construction laws are complex, but they can help you secure the payment for your work if you know how to use them. Make sure you follow the proper steps so you can get paid. If you don’t feel comfortable handling forms and mailings on your own, hire a construction notice service to do it for you. The Notice Zone Construction Notice Service can research, write, mail and log your Notice to Owner and Letters of Intent to Lien for a set fee per document.